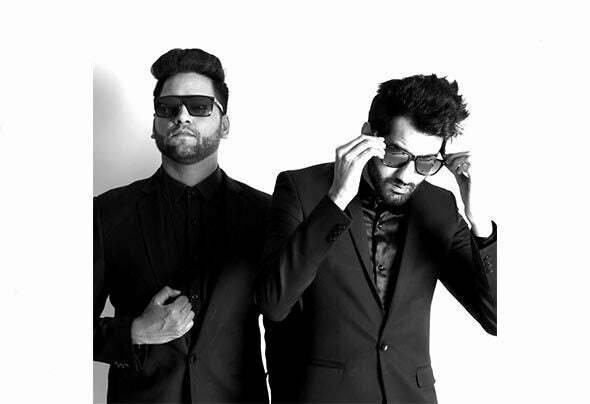 Sunny and Karan better known as 'Progressive Brothers' are one of the most promising stars signed on Dj Tiesto's founded 'Black Hole Recordings' where they have released most of their tracks & official remixes & received immense support from India & Abroad.Progressive Brothers have Dj'ed at India's biggest festivals like Sunburn, Vh1 Supersonic, Holiguns Music Festival, EDMonk Festival, Burnout Festival, Sun & Moon Festival etc. They have shared the stage and played alongside David Guetta , R3HAB, Carnage, Nari & Milani, Above & Beyond, Steve Aoki, Benny Benassi, Dada Life, Moguai , Mat Zo, Alvaro, Funkagenda, Swanky Tunes, Seven Lions, Daddy's Groove, Felix Cartel, Syn Cole, Max Graham, Protoculture, Myon & Shane54, Andy Duguid etc. Progressive Brother's creativity during their live sets is class apart where they play 150+ tracks in a 2 hour set ! comprising of ‘Big room sound’. Their set features a cocktail of Progressive/Electro House, mixed up with Trap & Hard Style.